(255) Весы и гири Доколумбовой Америки. Scales and weights of Pre-Columbian America. Коромысла весов Инка. Перу. Фото из Инета. 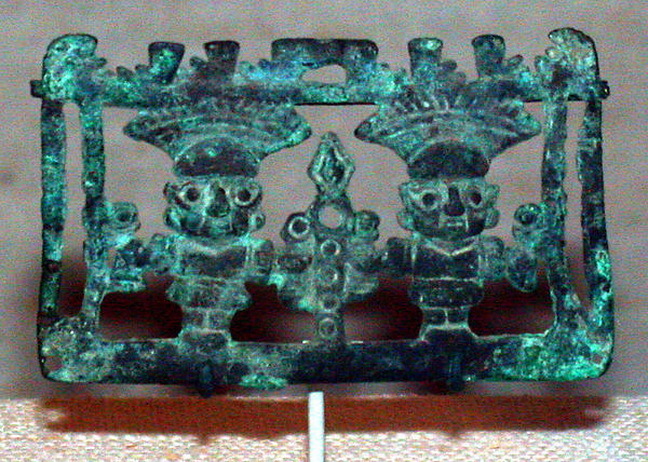 Manabi Balance Beam — Ecuador 200 BC - 200 AD A very rare pottery balance beam (scale) from the Manabi culture of Ecuador. 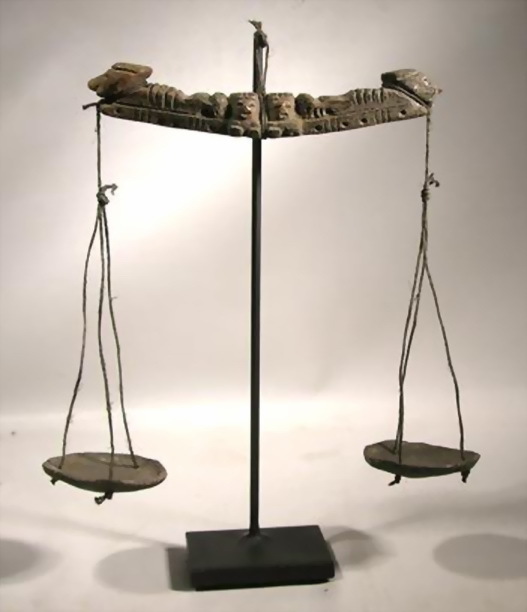 Scales like this were used in ancient times in commerce and trade to weigh precious commodities. 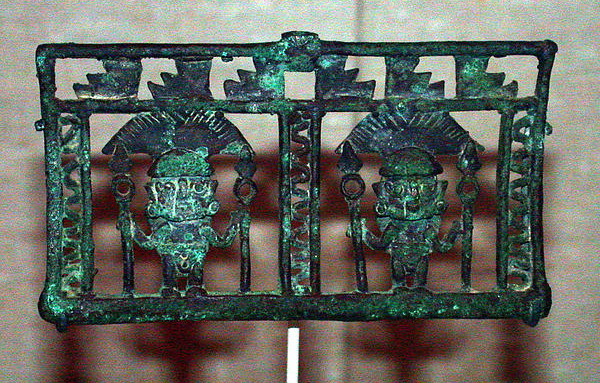 There are two heads at the midsection, flanked by two figures lying prone with heads pointed outward.